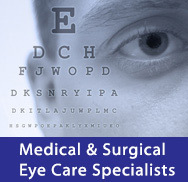 We offer a wide range of contact lens services. From fitting your child with their first pair of lenses to educating you about new contact lenses for astigmatism and presbyopia, our doctors and staff are well-trained in all of the latest contact lens technology. We have thousands of lenses in stock to help find the right lens for you, and offer direct ship right to your door for your lens orders. The fitting of contact lenses and subsequent re-fitting of lenses is not covered by most insurance plans. Please note that there is a fee associated with these services. Our staff will help facilitate payment from any appropriate coverage that you have when applicable.